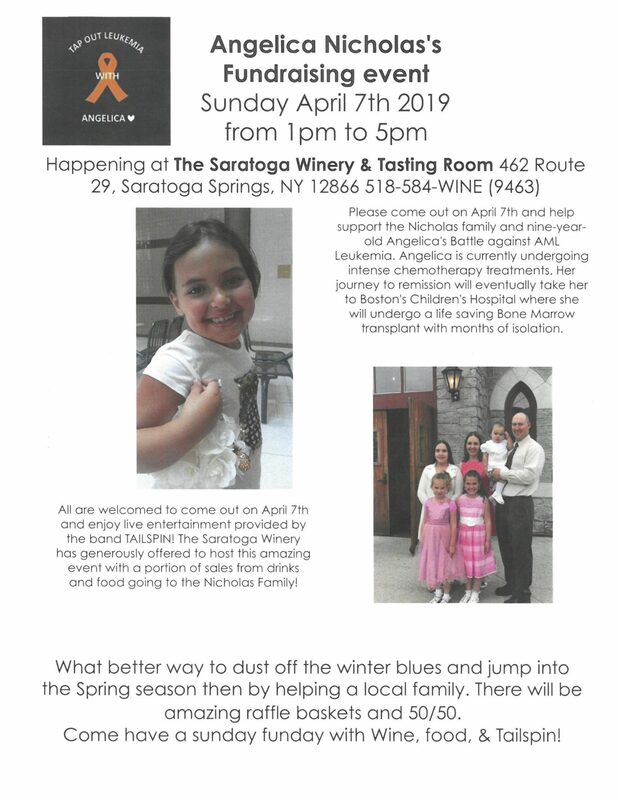 Help support the Nicholas family and nine year old Angelica’s battle against AML Leukemia. Angelica is currently undergoing intense chemotherapy treatments. Her journey to remission will eventually take her to Boston Children’s Hospital, where she will undergo a life saving bone marrow transplant with months of isolation. All our welcome to come out and enjoy live music by the band TAILSPIN! 15% of the food and bar sales will be going to the Nicholas family! There will also be raffles and 50/50!